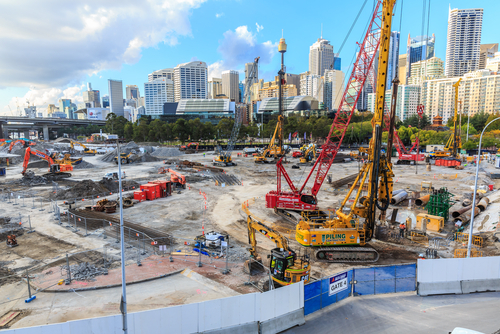 Australia’s construction industry is expected to reach US$172.9 billion in real terms, measured at constant 2010 US dollar exchange rate, according to a report by Timetric’s Construction Intelligence Center (CIC). According to the report, the country’s construction industry is expected to contract in real terms in 2017 and 2018, before recovering somewhat over the coming years. This industry decline can be attributed to the mining slowdown, the cancelation of oil and gas projects, and weak business confidence and consumer demand. As economic growth picks up and investor confidence returns, positive growth is expected over the remainder of the forecast period (2017–2021), supported by government focus on developing transport infrastructure. The government plans to invest AUD75.0 billion (US$57.6 billion) until 2026–2027 to develop transport and logistics infrastructure. Growth will also be supported by public and private sector investments in commercial, and educational and healthcare buildings construction. Despite the declines forecast in the short-term, the industry’s output value in real terms is expected to record a compound annual growth rate (CAGR) of 0.3% over the forecast period to 2021. During the review period (2012–2016), the country’s construction industry posted a CAGR of -0.7% as the weakness in the broader economy, which was driven by the slowdown in the mining sector, weighed on the segment. Accounting for 38.2% of its total value in 2016, residential construction was the largest market in the Australian construction industry. The market’s importance is expected to wane over the forecast period, and will account for 34.3% of the total value in 2021 due to the country’s poor housing affordability, falling house prices and limited access to credit. Indeed, the market is expected to register a forecast-period CAGR of -1.3%. “Although the segment outlook is weak, there will be support from investment in affordable housing, ongoing urbanization, population growth and some positive developments in regional economic conditions,” comments Danny Richards, Lead Economist at Timetric’s CIC. In the first quarter of 2017, the government announced its plan to provide affordable houses to key employees such as teachers, police officers and nurses in Sydney under the progressive new initiative. Under this initiative, developers of new residential property will have to set aside certain portions of the new construction to low and moderate income groups at affordable prices. “The government aims to address skyrocketing house prices in Sydney and provide access to premium properties at an affordable price to key workers,” adds Richards. Energy and utilities construction was the second-largest market in 2016, accounting for 23.2% of the industry’s total value that year. The market is expected to follow a similar trend over the forecast period, accounting for 22.9% of the industry’s total value in 2021. The market is expected to record minimal growth over the forecast period, with low investment in the energy sector. However, government focus on developing renewable energy sources will provide support. This information is taken from the Timetric report: ‘Construction in Australia – Key Trends and Opportunities by State and Territory to 2021'.